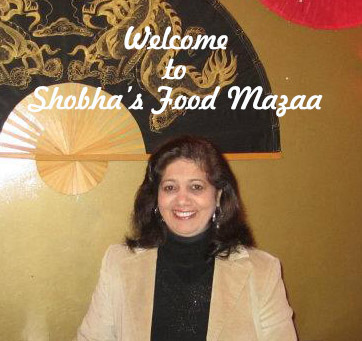 I was paired with Shoba Srinivasan (www.anubhavati.wordpress.com) She has a lovely collection of recipes. Do check out her blog. 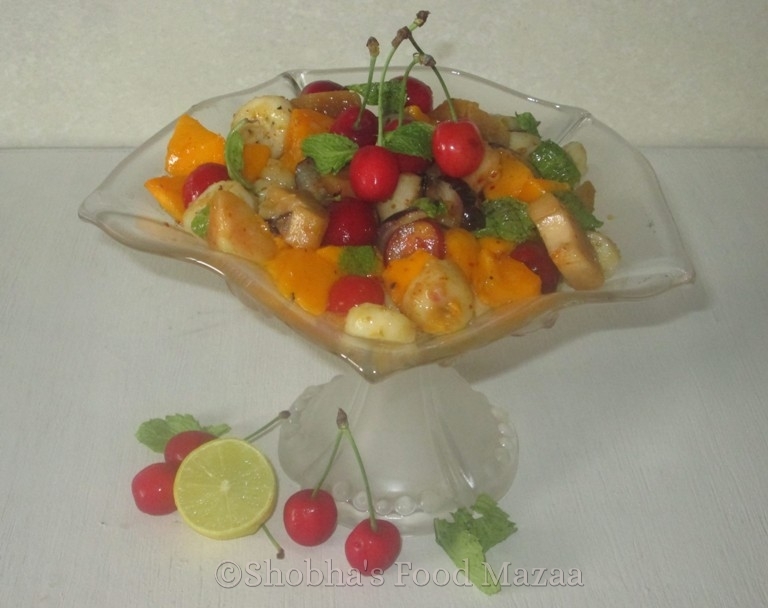 Now getting back to the recipe of the month, my two ingredients were fruits and chaat masala . These were very easy and I made fruit chaat with seasonal fruits. 1. Peel the fruits and cut them into cubes. 2. Whisk all the dressing ingredients in a small bowl. Crush a few leaves and add to the mix. 3. Mix them into the fruits and stir gently. 4. 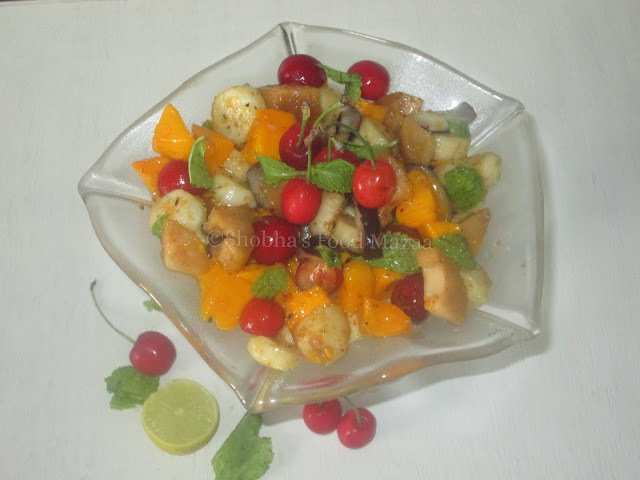 Garnish with some mint leaves. That's a delicious fruit salad, would love it with some ice cream. Thanks Rafeeda.. even we prefer only during summer. I am loving mango and cherries at the moment, so this looks like my ideal snack.